Castle View in Cronton, near Liverpool, Lancashire sleeps 8 people. Castle View near Liverpool is a beautiful detached cottage; the design and feel of the cottage will almost make you believe you have stepped into a Mediterranean villa. Beautifully finished throughout, with thought and consideration given to all aspects, the property is perfect for any occasion no matter what the weather. The double sided wood burner proves a wonderful feature in the chillier winter months, and for those warm summer days and evenings, the bi-folding doors open onto the terrace area complete with hot tub. A range of seating areas catch the sun well into the evening, and once indoors Smart TVs adorn all the bedrooms. Surrounded by beautiful farmland, the location is semi-rural and peaceful, yet just 15 minutes away from the buzzing city of Liverpool with its docks, Beatles story and calendar full of festivals and events. 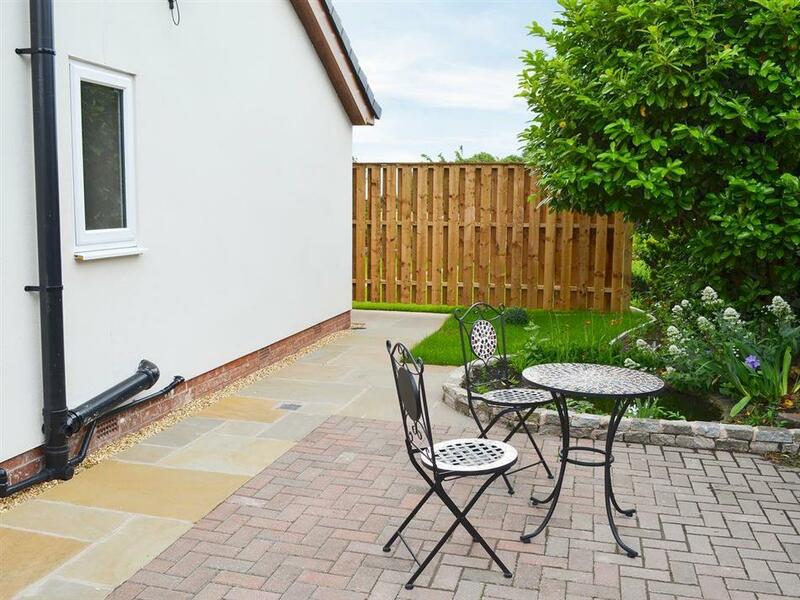 For those who prefer the village life, a 12-minute walk from the property will take you directly into Cronton Village. The village is home to oak-beamed pubs, a prize-winning fish and chip shop and uniquely, one of just three sets of five-hole stocks in the country. Other attractions within easy reach include Knowsley Safari Park and Speke Hall (National Trust), 15 minutes away and both Aintree and Haydock Racecourses are just 25 minutes away. Around a half an hour drive will take you to miles of unspoilt coastline including Crosby Beach where you can see the famous Anthony Gormley sculptures and 45 minutes to the walled city of Chester. The beach is 8 miles from Castle View near Liverpool. With the shop, pub and restaurant 1 mile from Castle View. Open plan living space: With double sided wood burner and tiled floor. Dining area: With bi-folding doors leading to patio. Kitchen area: With electric range and dishwasher. Utility room: With fridge/freezer and washer/dryer. Bedroom 1: With zip and link king-size bed (can be 2ft 6in twin beds on request) and Smart TV. Bedroom 2: With zip and link king-size bed (can be 2ft 6in twin beds on request) and Smart TV. Bedroom 3: With zip and link king-size bed (can be 2ft 6in twin beds on request), 2ft 6in single bed, and Smart TV. Bedroom 4: With zip and link king-size bed (can be 2ft 6in twin beds on request) and Smart TV. Electric central heating, electricity, bed linen, towels, Wi-Fi and logs for wood burner included. Travel cot and highchair available on request. Welcome pack. Enclosed lawned garden with patios, garden furniture and gas barbecue. Hot tub for 6 (private). Bike store. Private parking for 4 cars. No smoking. Please note: There is 1 step and a pond in the garden. Holidays at Castle View run from Friday to Friday. Pets allowed at Castle View. For a better idea of where Castle View is, you can see Castle View on the map below. You can find more large holiday cottages (that's cottages which sleep 8 or more people) in Merseyside. 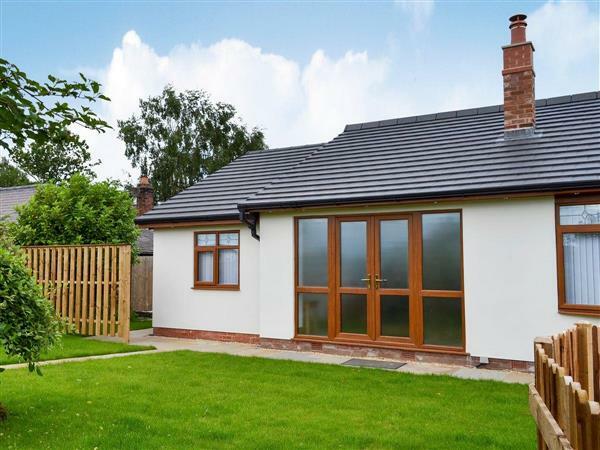 If you want to see more large cottages, have a look at large cottages in Merseyside. Castle View is in Merseyside; should you be on the lookout for a special offer, you can find all the special offers in Merseyside. It's always worth checking to see what is on offer at the moment. Do you want to holiday near Castle View (UKC2104), you can see other cottages within 25 miles of Castle View; have a look to find your perfect holiday location.